This weeks Brightest Day #23 made every 80's DC fan summersault around the room like Nightcrawler on a sugar high. Swamp Thing is Awesome! The scariest I've ever seen him! I'm stoked Swampy has returned to the DCU. Sure he suits Vertigo, but I think you can still tellhis sagas in both styles at the same time. He just fills a massive gap in the normal DCU and anything that gets him back in the spotlight is a great step forward. This is only half of Swamp Thing though guys, Alec Holland also returns in the second half of the book so expect next issue for the big reunion! Oh yes. This was a great issue, and next one has a promisse to be even better. Poor Boomy! 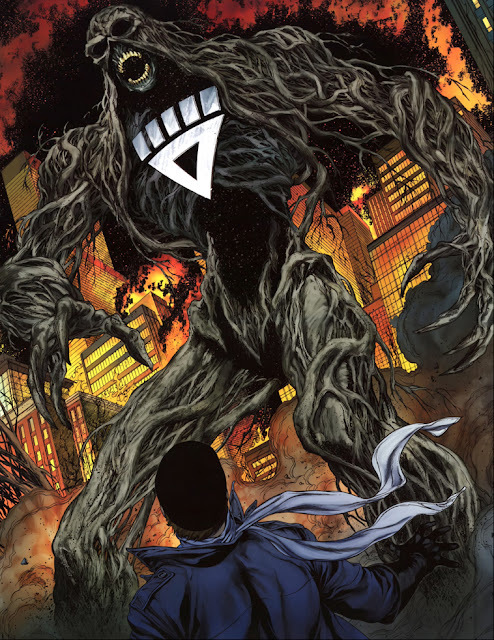 Giant black swamp thing has to be a scary vision. 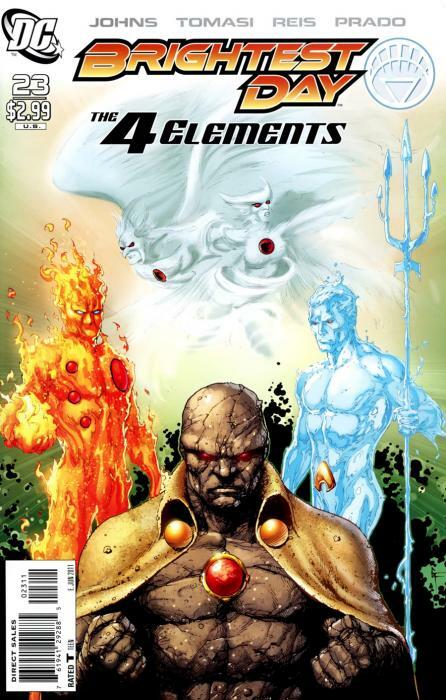 I also liked the elemental(y) heroes, but I expect them not to stay that way or it would be a very starnge Aquaman comic. If she has the heart power and I actually thing she might have, Boomerang will be mighty screwed. Indeed, since Hawk and Dove botha appear in next issues os Birds of prey at the DC comics site, I think they are going to be okay. Whatdoes it mean to my favorite character? We'll see in two weeks. Who would be captain planet the Swamp Thing or Dead Man? Why, does anybody knows, they pushed last issue of Brightest day one week?